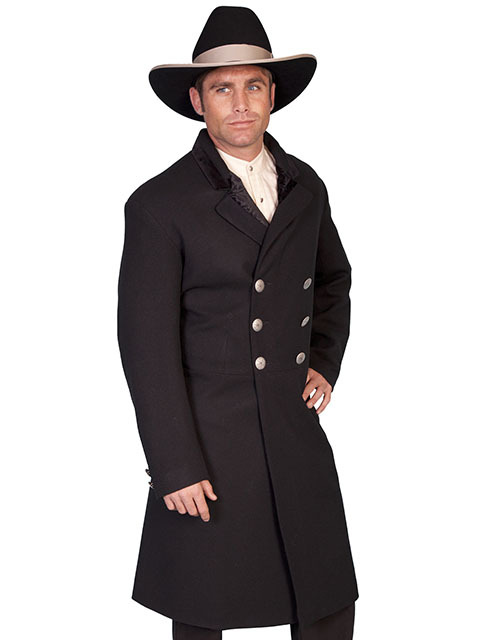 This stunning double breasted frock coat has two contrasting fabrics in the collar. Soild velvet and an embossed cotton. Features beautiful silver concho buttons.